Bloomfield Animal/ John A. Bukowski Shelter is a no kill shelter for animals managed by the Township of Bloomfield, New Jersey. The shelter adopts out both cats and dogs. Many pets are surrenders, thus giving the shelter staff more information on their backgrounds, and personalities. Others come in as strays, but even though they don’t have a great deal of insight about their previous lives, through daily social interactions and training, the shelter staff and volunteers get to know each dog and cat’s personality, enabling them to make the best possible match for each adopter and pet. They treat every animal as an individual, regardless of breed or background. Carter was a scared and shy boy recently found in an abandoned warehouse. The first few days at the shelter were tough for him; he didn’t know who to trust, and would shake in his cage. But, after a few days, he relaxed and realized the shelter staff just wanted to help him. Now, he can’t stop smiling and wagging his tail! Carter is a young Terrier mix, only 1-2 years old. He is being house trained, and how to walk on a leash. He also learned basic commands like “sit” and “stay” in a short period of time. He loves treats! He is full of love, and cannot wait to find a wonderful home that will never abandon him again. Obie was found as a stray last year, and has been working on his manners to become a gentleman. He is a volunteer favorite for his goofy ways! He is approximately 2-3 years old, neutered, and up-to-date on vaccinations. He has beautiful eyes and a white coat with brown spots. 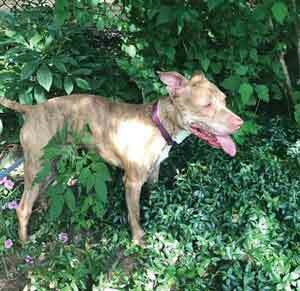 Obie walks well on a leash and loves to play. He is very friendly with those he knows and trusts, and also gets along well with other dogs, and doesn’t seem to mind cats. Obie is wary of strangers at first, so anyone who is interested in adopting him will need to visit several times to get to know each other. 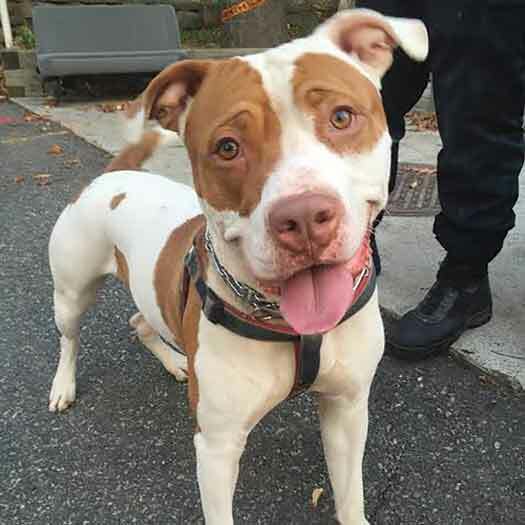 He doesn’t realize his size, and thinks he’s a lap dog, which is why he needs someone experienced to help teach boundaries, and why the shelter staff don’t recommend he be adopted by someone with young children. Obie loves treats, which will make training easier, and more fun for him. Meet Carter and Obie during daily adoption hours Mon-Fri 2pm-5pm, Wed 2pm-6pm, Sat-Sun 1pm.